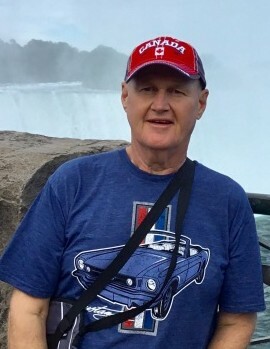 Clifton Daniel "Danny" Deese - 64 of Clover, SC went to be with the Lord on Friday, January 18, 2019. He was a devoted husband, dad, and pawpaw. Danny loved spending time with family, friends, and working outdoors. He shared his love of plants, gardening, and animals with everyone he knew. After 25 years as a truck driver, he retired to spend more time with his family. Danny also enjoyed 10 years as a shuttle bus driver at Charlotte Douglas Airport, where he greeted and talked with passengers, never meeting a stranger. Danny was born on December 16, 1954 in Gaston County, NC to the late Kirby Holmes and Jeanette Shumake Deese. He is survived by his wife, Terri Deese of 43 years; daughter and son-in-law, Michelle and Will Campbell; daughter and son-in-law, Melissa and Patrick Wolfe; daughter and son-in-law, Heather and Eric Malmberg; grandchildren, Alex and Alyssa Campbell; brother and sister-in-law, Glenn and Kay Deese; brother and sister-in-law, Greg and Cindy Deese; sister, Deborah Hughes; and nieces and nephews. A celebration of life will be held on Saturday, January 26, 2019 at 2:00pm at Good Samaritan United Methodist Church, 5220 Crowders Cove Road, Lake Wylie, SC 29710. The family will receive friends immediately following the service. In lieu of flowers, a memorial can be made in honor of Danny to Good Samaritan United Methodist Church.